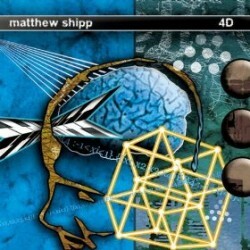 “To me, music is an occult alphabet of frequencies and vibrations that are transmitted on an instrument.” So says pianist Matthew Shipp, whose new solo piano recording, 4D (Thirsty Ear, 2010) comes out on January 26. In this interview, Shipp talks about the joy of solo piano; the lessons he learned from David S. Ware and Roscoe Mitchell; and the origins of music itself. Learn more at www.matthewshipp.com. Thanks, Lyn! I’ve got your piece bookmarked to read this weekend. Nice interview and some very interesting discussion on the language of music, and it is great to see the new record … I get the AllMusic weekly release email, and this was so far down I probably wouldn’t have noticed it otherwise. Regarding the link: As I type this, there’s an Amazon link right above my comment entry box. I have noticed it being blocked at one of the offices where I work.